In The News - Thermoscan Inc. Simply stated, thermology is the study of heat. The term radiometer is common throughout the infrared industry for a tool to view radiation in the infrared spectrum that otherwise is not visible to the naked eye. Radiothermology is common term used in the medical field for the use of radiometers to diagnose health conditions. Radiothermology is not a common term in the Predictive Maintenance business and does not replace thermography or infrared scanning. On the contrary, it has confused patrons seeking quality methods of applying thermography for Predictive Maintenance services. The term thermography is the standard term in the infrared business as the process of studying invisible heat energy in the light spectrum just beyond visible red. This process is done via the use of radiometers to produce a visible picture. 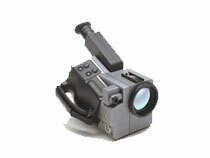 Infrared scanning is a term that started when the ability to detect infrared radiation was first produced. 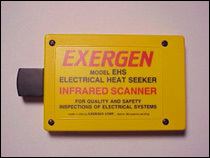 The first instruments used for Predictive Maintenance purposes were simply infrared scanners (see Photo A) that were able to detect heat, but not produce a visible image. This process is also commonly referred to as a thermal scan. As the technology improved to produce visible infrared images, thermography was born (see Photo B). Thermographers are those individual who are professionally trained and certified by qualified training centers. Trained and certified thermographers assure quality and accurate interpretations and results. Infrared scanning is a term that never became obsolete and is commonly used throughout the industry. A typical application of Predictive Maintenance may be the inspection of an electrical panel; this would be done via an infrared scan by a trained thermographer. I hope this article has been informative and educational as well. Please feel free to contact me for further clarifications.